Wilkinson Architects were invited by the University of Pretoria to participate in a two stage design competition for a new international institute for technology. The practice was shortlisted as one of two firms for stage two, and had to design the complex on the university’s agricultural grounds. The project comprises of auditoriums, a cafeteria, offices, seminar rooms, breakaway facilities and a large residential component. The landscape design formed an integral part of the precinct design. The project was inspired by the Togu Na structures normally found in the centre of villages in Mali. These veranda type structures are the places where community members gather and contribute to resolve problems and structure rules for local government and future ideas. The Future Africa Centre has a large roof structure that simulates the Togu Na and organizes all functions around a central gathering space. This space will be used for formal and informal gatherings and will stimulate cross pollination of ideas. The light roof structure hovers over all the respective buildings below and has perforated sheeting, which also symbolizes an African Paperbark tree, as it forms a large canopy and light would be allowed to filter through. Lush indigenous gardens and pathways not only provide essential break way areas, but also link the main buildings with the residential component. 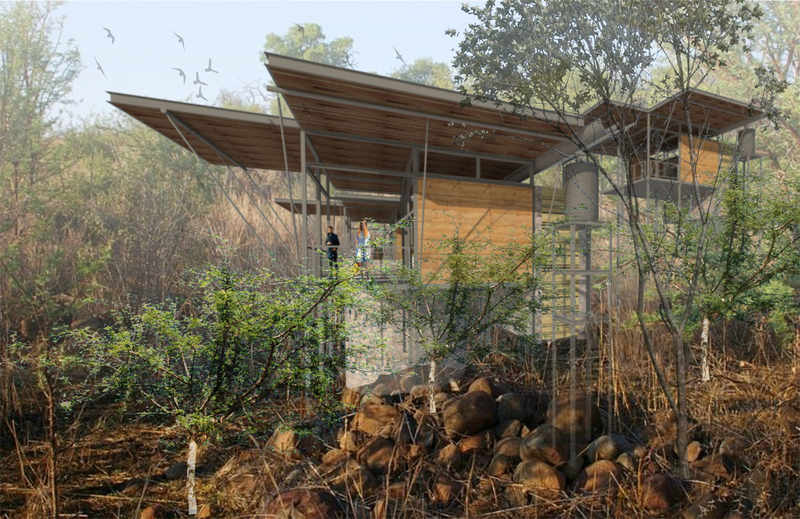 Visiting lecturers will have the opportunity to stay in treehouse like chalets that are sensitively located amongst the trees on the foot of Strubenkop. Other residential units are two storey blocks, located amongst lush gardens and leafy avenues.